These are some of the manga that once graced the halls of studiorobb.com until i took everything down during my professional stint with Ironcat Studios. As time allows, i will be periodically adding more. This was the first "non-published in America" series i had ever worked on, and it's still on of my personal favorites. The story is about a young man in search of his sister who, due to circumstances and war, sold her brain to become a cyborg. This story is particularly special to me because author Takada-sensei actually wrote and said he liked the job i had done with his series. This is a quirky little series. 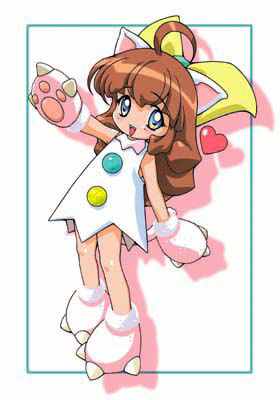 I first ran across it in the phonebook manga anthology, Monthly Magazine Z, and it looked so darn cute i figured it'd be the perfect thing for younger readers. Boy was i wrong! i quickly devolved into something more appropriate for teenagers. It's still darn cute, though.The series is about a kitten (who's drawn to look human!) named Fancia who adores her master more than anything. She also has interesting relationships with several other cats in the neighborhood which only confuses her understanding(?) of the human world. This is a 40-page one-shot story. It was originally published in Shonen Ace, and i first read it shortly after the tragedy at Columbine High School.It's the story of a young student named Sahra who comes from a broken home. 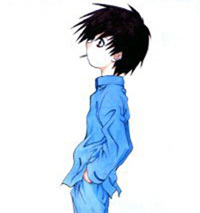 He has a difficult time getting along with his classmates (or, more precisely, he doesn't *want* to get along with his classmates), until a girl named Mai Omi decides to make her mission to help him feel accepted. It's a wonderful story, one i recomend that everyone should read. 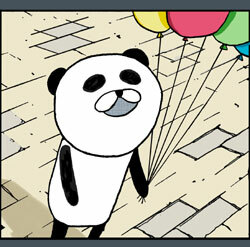 This is a self contained story about a little guy who makes his living handing out balloons to children while dressed in a Panda Costume. It's a somewhat sad story that shows how far someone might go when they truly care about someone. 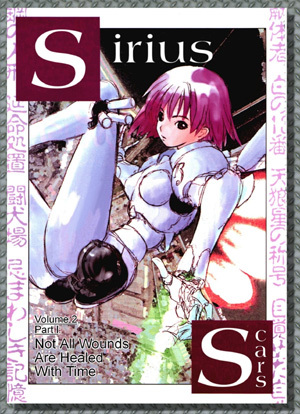 The story appeared only in the November 2002 issue of Shonen Ace and as far as i know, it was never collected in an anthology. This series is suitable for all ages.